Black Friday and Cyber Monday are fast approaching and it’s time to shop! Whether you’re treating yourself or getting ahead on your Christmas list, an electric toothbrush is a great way to improve your smile and oral health. While there’s nothing that beats a professional cleaning from your Kits dentist, there are a number of advantages to switching to an electric toothbrush. With so many options, here are a few things to keep in mind when shopping for an electric toothbrush. Easy to use. Your toothbrush should not be complicated or uncomfortable. At the most basic level, the size and movement of the brush heads should not cause any discomfort or make it difficult to use. The controls should be easy to understand. Useful additions. Depending on your lifestyle, a travel case and charging stand may be essential. The majority of electric toothbrushes also have a two-minute timer with 30-second intervals because it’s widely recommended that you brush for at least two minutes per use. For specific brushing technique, it’s best to talk to your Kits dentist at La Vita Dental Centre. Exceptional performance. Each use should be consistent and there should be no mechanical changes as you switch quadrants. You want a smooth experience. Also, there should be no leakage if you are using a water flosser. Durability. Some electric brushes need to be replaced in their entirety; however, you may prefer to buy ones that only need their brush heads replaced. Typically, brush heads need to be replaced about every three months according to manufacturer specifications. Similarly, jet picks need to be replaced every six months or so. Power supply. Some electric toothbrushes use batteries while others are rechargeable. Battery operated ones are relatively inexpensive and more portable. Their counterparts can either be plugged in or use a charging station. Rechargeable toothbrushes are usually more powerful. If you have sensitive gums and teeth or travel a lot, you may want to consider a battery-operated electric toothbrush. Travel needs. For the business person on the go, the portability of your toothbrush is important. A case offers protection from germs while charges do away with wires. More importantly, you should find a size that’s right for you. Preferred settings. While a basic setting for cleaning is good, options for massage, sensitivity, or quick brushing may be preferred. You may also need to upgrade to special brush heads for specific gum care issues or for whitening. If you’re experiencing sensitivity, gum issues, or are looking for a solution to discoloured teeth, talk to your Kits dentist at La Vita Dental Centre. Cost. Give yourself a budget. Sometimes you may be paying for a brand name or aesthetics when your main concern is functionality. 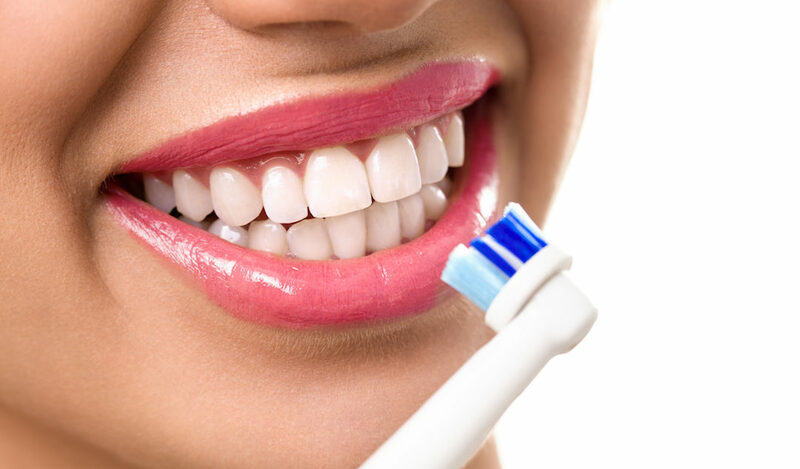 Decide what is essential for your electric toothbrush. There may be hidden costs like replacing batteries. While battery powered toothbrushes may seem inexpensive at first, the cost of replacing batteries will add up in the long run. Keep in mind that some toothbrushes allow you to replace just the brush head while others require you to replace the entire brush. If you’re concerned about the environment, you may want to research which option is best for you. Overall, rechargeable electric toothbrushes may seem more expensive than their battery-powered counterparts, but rechargeable toothbrushes are usually more durable and effective. For more tips on finding the right dental health care products or to schedule an appointment, contact La Vita Dental Centre.